Since my house is perched on a hill, the yard slopes down towards the street, creating a three-foot drop from my front yard to the sidewalk. A previous owner built a retaining wall, which adds a nice little touch to the front of the house. However, the wall builder merely stacked the bricks, with no form of adhesive. As a result, years of freeze/thaw cycles and rain had pushed the wall forward several inches, leaving it leaning precariously over the sidewalk. It wasn’t in any imminent danger of falling, but eventually, it will. And kids tend to jump up on the wall and use it as a balance beam, which makes me nervous. Before: note the "missing teeth" and the general jumbledness. I should have taken a picture of the side view to really show the tilt. Plus, people steal the loose bricks. In my first four years here, four or five bricks were taken from the end of the wall. This spring, though, four more have disappeared, including two in a 24 hour period (one of which was in broad daylight, as I worked from home). Who steals landscape bricks that retail for 88 cents? My neighbors had some plants stolen, so we wonder if someone further down the street is assembling a garden out of “found” items. So this weekend, my parents came over and helped me rebuild the wall. I bought several new bricks to replace the missing ones, plus my parents happened on a rebate that enabled them to buy the 12 tubes of landscape glue for free. When my parents arrived early Sunday morning, we surveyed the situation, then ran to Menards for pea gravel and anchors. First, we removed all the old bricks – approximately 200 of them. Next, we leveled out the dirt, and leveled the hill vertically, rearranging dirt and marveling at how much the front of the yard jutted out. 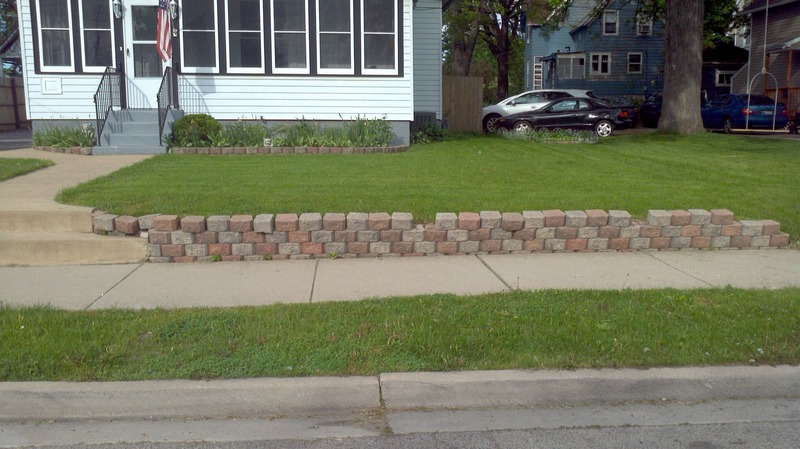 (I also yanked all the dandelions I could – removing the bricks exposed several 12″ taproots.) We poured 150 lbs of pea gravel to enable drainage, which should help prevent future shifting. Next, we carefully laid the foundational layer of bricks, leveling each one. When it came time to glue on the next layer, my dad and I experimented with where to glue and how much to use. We finally determined that since the bricks “lock” and have a lip on the back, a bead of glue along the lip seemed to suffice. Once we found the method, the gluing went quickly. My mom prepped the bricks, cleaning off all the loose dirt and debris (and so many bugs), my dad applied the glue, and I placed them as we all eyeballed things to make sure we were building a straight line. The original wall had four layers, but after three, when we stopped and looked, we decided we didn’t really need a fourth layer. 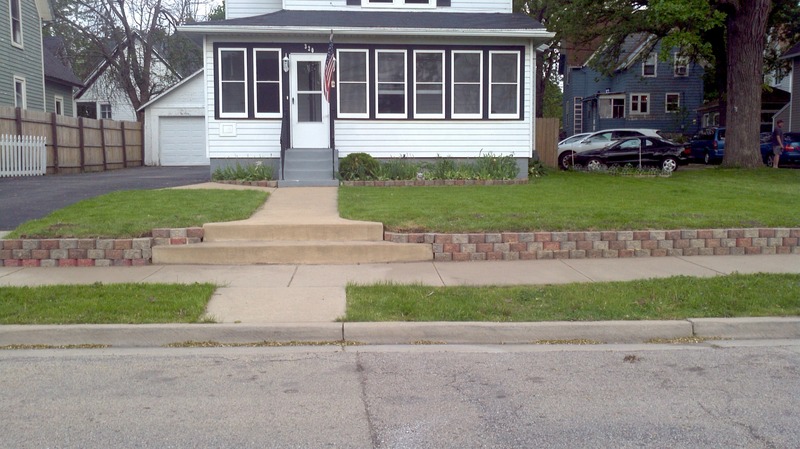 In the past, that fourth layer had stood about 3″ higher than the grass level, making mowing difficult. Now, because we had built things up a bit and leveled everything, the third level is nearly flush with the grass line and looks great. If it bothers me after a couple of weeks, I could always add another layer – the process isn’t hard, and the initial foundational prep was the time-consuming part – but for now, I’m very pleased. After our break, clouds started rolling in, so we quickly finished up, including the Tetris of making the partial, curved bricks wrap around the sidewalk. We reset much of the dirt we had originally moved, and replanted the tufts of grass. I still need to add a couple of bricks on the other side of the sidewalk, but the sky was dark and we thought storms were imminent, so we cleaned up and called it a day. (The radar turned out to be wrong – the storm swung south of us, and it didn’t rain for another three hours. But eight hours of work was a long enough day.) I may need to plant some new grass, but I’ll give it a few days and see if the old tufts survive. Afterwards, we sat in the cool house and sipped Coronas for a few minutes, trying to discern dirt from sunburn and reveling in exhaustion. Returning from dinner at the Public House, I smiled at sight of the new wall – it looks so good. After: Nice and even. Now I just need the grass to re-grow. This was my favorite kind of project: the kind that you can see every time you pass by. It was a very long day, but very much worth it. And hauling 12 lb bricks for eight hours is a heck of a workout. This entry was posted in House projects and tagged House projects, Neighbors. Bookmark the permalink. May I make a suggestion to expand on this idea? As an alternative to growing grass back, you could try a few other things. If you prefer a formal look, bushes planted in a hedge row could look very nice along the top of the wall and soften the transition from sidewalk to house. There are many options here, depending on your tastes. 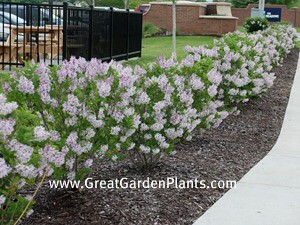 A row of flowering shrubs would give some nice color part of the year and also nice smells to the passers-bys. 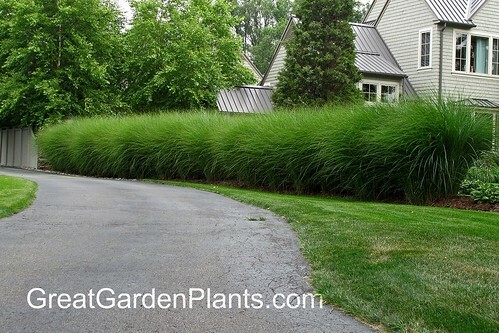 For more of an informal look, you can experiment with perhaps some low to medium height ornamental grasses intermixed with other perennials (native prairie plants do well) & maybe a nice cascading plant to spill over the wall and blur the edges. A perennial like periwinkle (vinca minor), although it is not very full in nature. 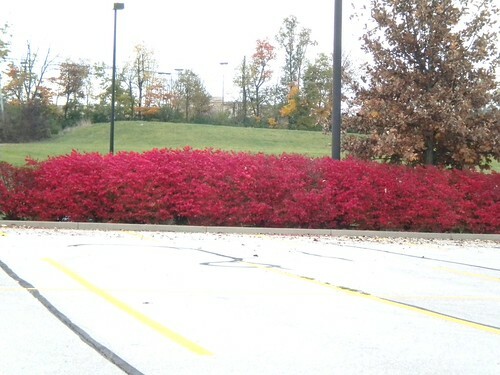 Another ground cover option would be pachysandra. It is a nice dark green perennial ground cover that comes back very early on. Or you can try out different annuals like margarita lime sweet potato vine (very full, cascades great, and adds a bright pop), white sweet alyssum (there is one variety the is grown for cascading purposes), creeping phlox & others. Add some great smell with lavender (although I’ve never had luck with that) or even herbs. For a tidier look, try one plant in a big sweep (using lots of them) and then intermix 2 other plants. 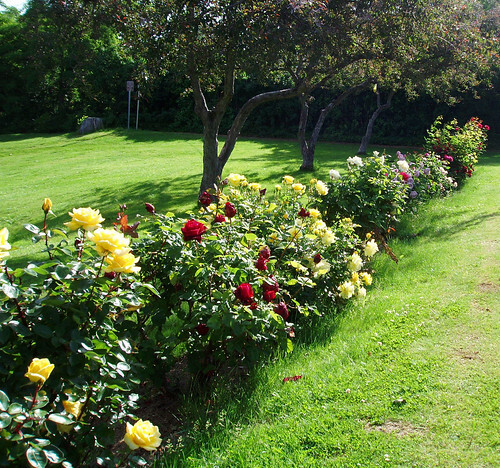 If you like the romantic cottage garden, you can be a bit messier and have more variety. Or you can combine a row of shrubs with ground cover underneath to anchor it, and a few annuals intermixed for seasonal color. Those are just some alternative ideas! Love the Pink Floyd reference. Love your suggestions, Beth! While contemplating a fourth layer, I knew that doing so would mean bringing in more dirt and planting something. I contemplated some small annuals – marigolds, maybe? – but was stumped on other ideas. I’ll investigate more this weekend – I would love to get a little pop of color and interest. Thanks!